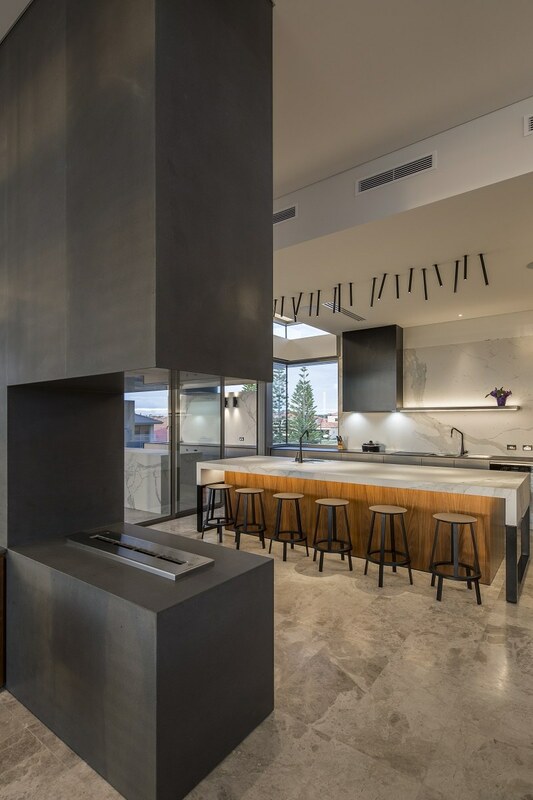 An imposing presence on its corner block location the exterior elevation of this outstanding home deftly balances heavy masonry elements and strong horizontal lines in a modular design that can only be described as Industrial Chic. 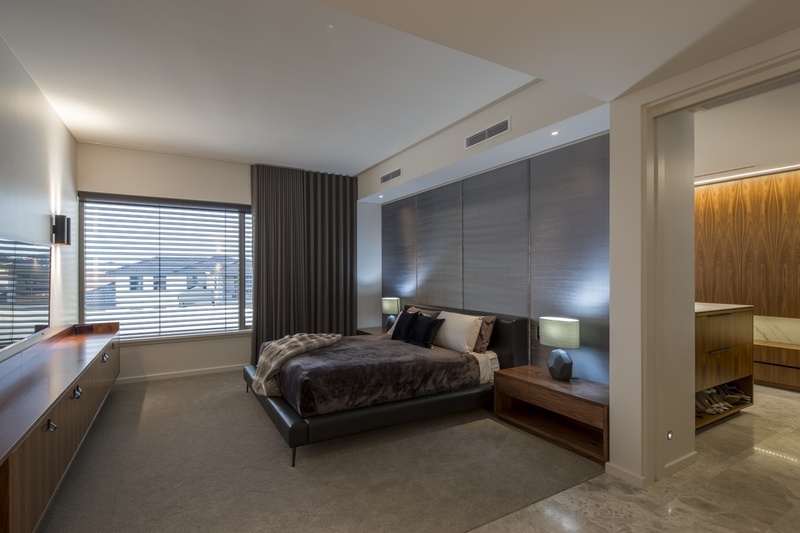 Expanding over three floors with a central lift for easy access, the home incorporates 6 bedrooms, 3 bathrooms, study, theatre room, kids playroom workshop and 10 car garage! 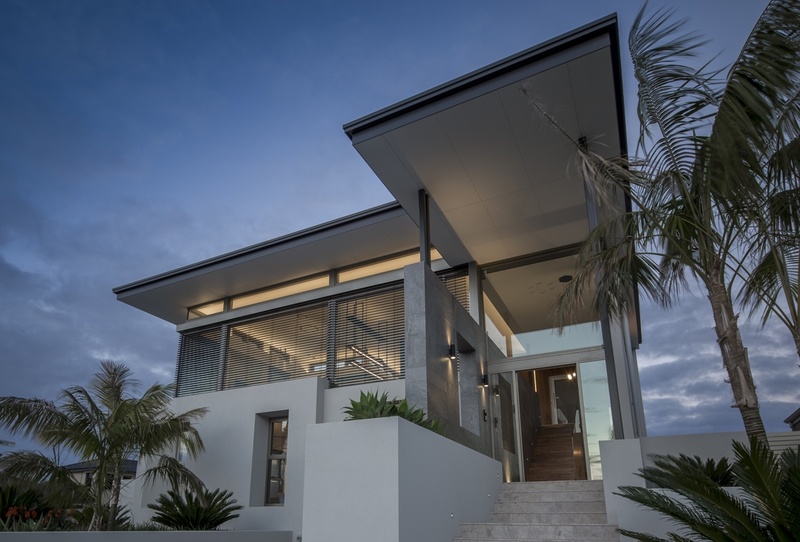 To take full advantage of the ocean views, the master suite, open plan kitchen, dining and living and adjacent alfresco area all reside on the top floor of the home. 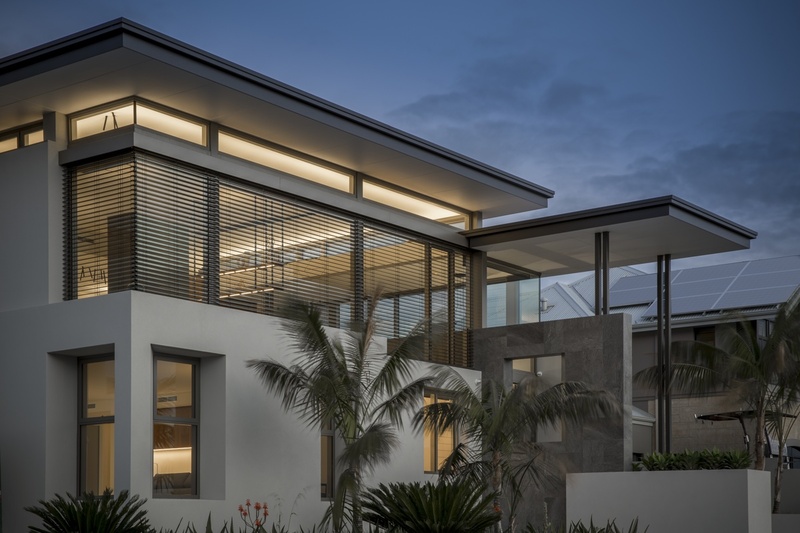 Extensive glazing fitted with climate controlled shutters take in the ocean panorama whilst protecting the home from the harsh western sun and winds. 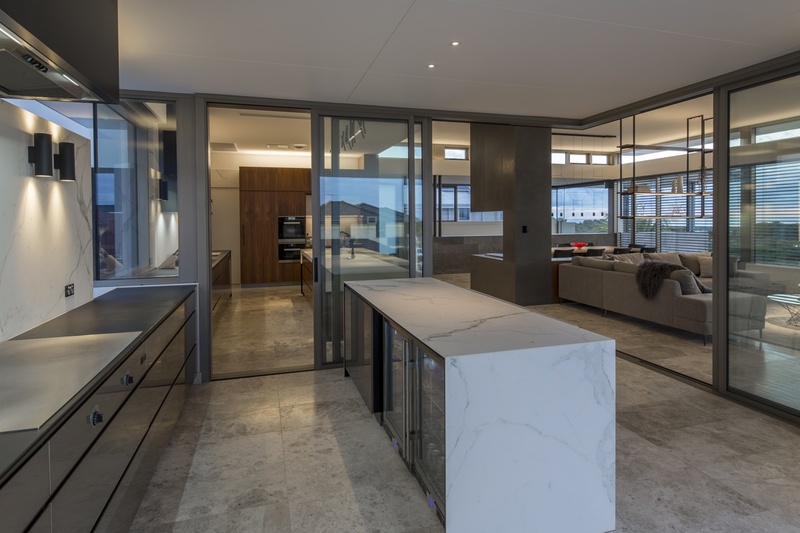 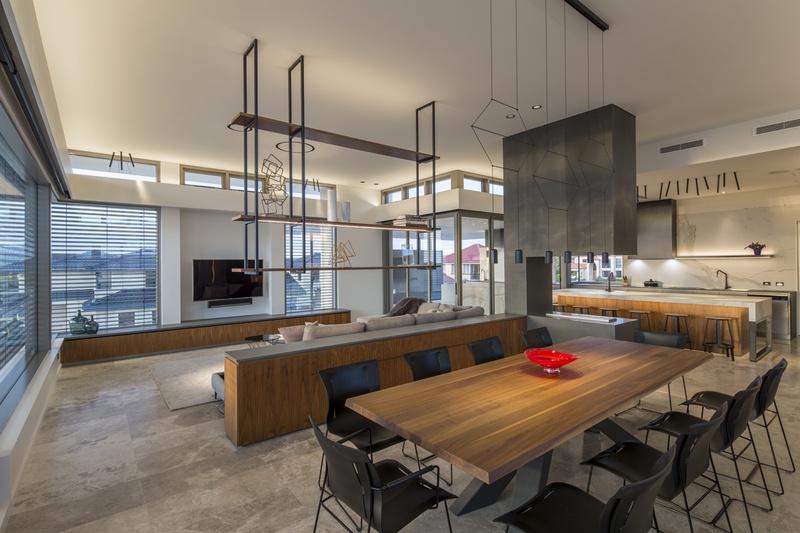 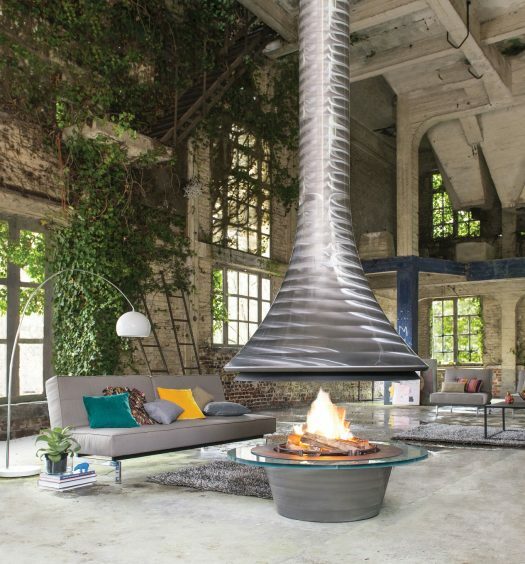 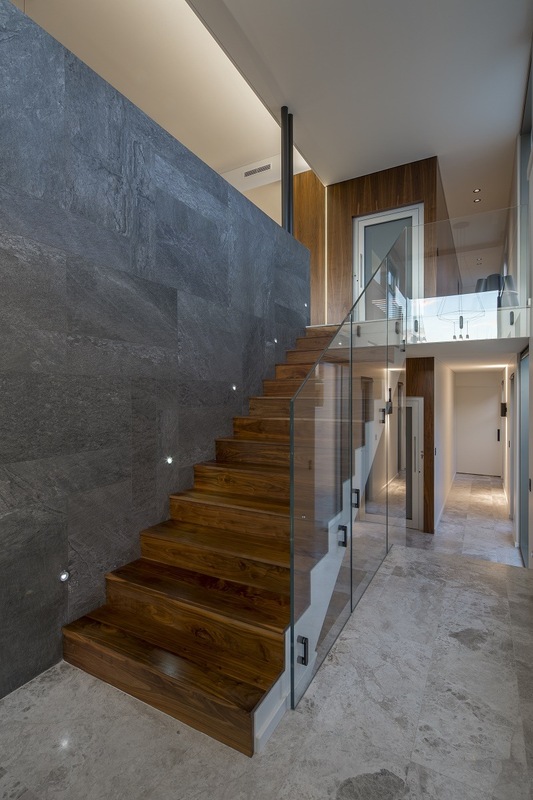 Angular lines and architectural elements including a stone-clad feature fireplace and suspended shelving mimic the industrial tone of the exterior whilst marble flooring and walnut timber cabinetry confirm the quality of the finishes throughout the home. 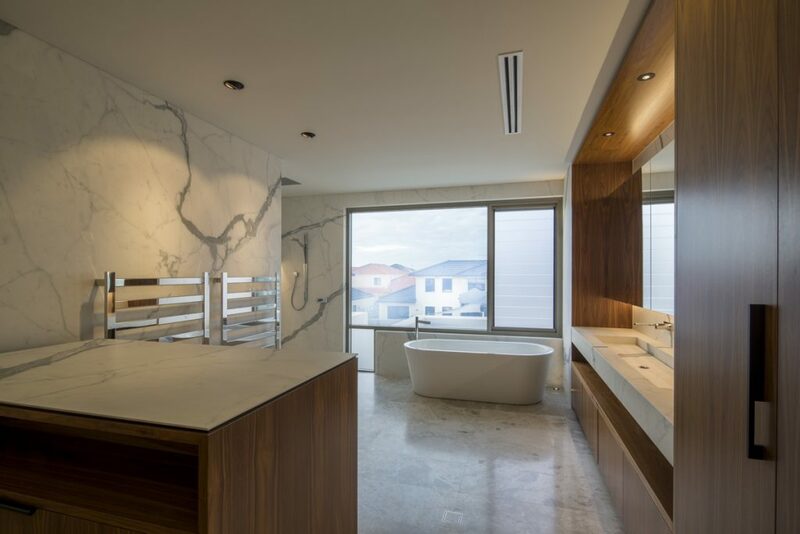 The outstanding craftsmanship is no more evident than in the stunning master en-suite where sleek walnut cabinetry and book-matched marble walls create the ultimate surrounds for a relaxing, luxurious bath at the end of the day. 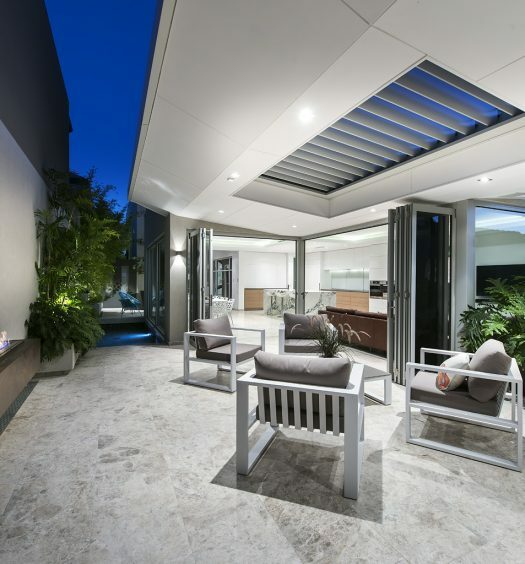 Clad with Alucabond the splayed roof and suspended infinity edge pool, enhance the horizontal lines of the front exterior of this contemporary design, adding to its stunning street appeal. 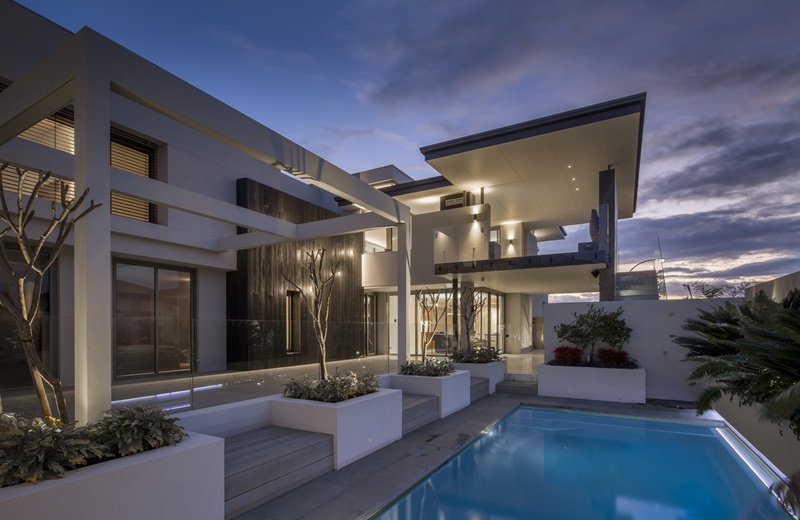 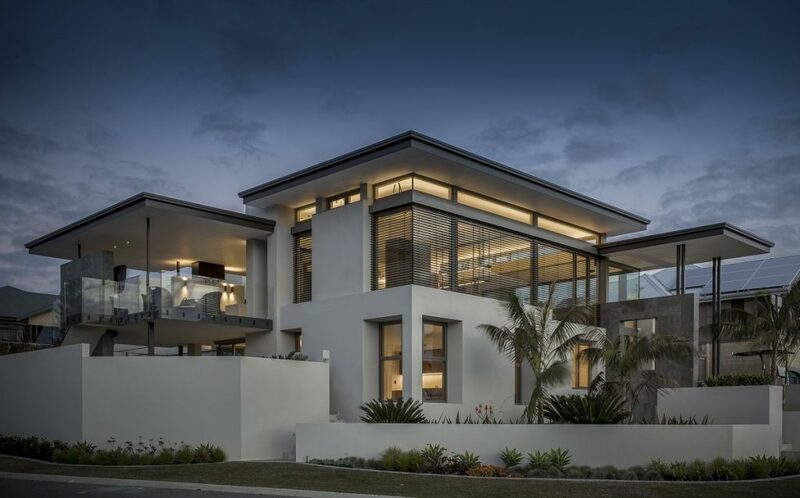 This exceptional Perth custom home was featured in the 2017 edition of our luxury homes annual WA Custom Homes.